Nga Ian MkNorton & Paul Tejlor, 109 faqe, botuar ne shqip nga AEM Misioni Ungjillor, Ne bashkpunim me, Answers in Genesis, UK ne vitin 2009 ? Biblical faith and the Christian world view. In 1859 Charles Robert Darwin published "On the Origin of Species," a book that has had a profound impact on the Western world ever since. Why was this book and its ideas so popular? There can be no reason other than that the UK public were ready to embrace an alternative to the biblical creation account. 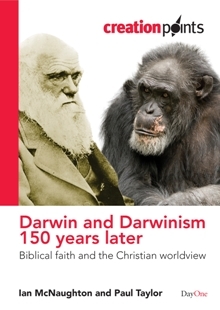 Here Ian McNaughton and Paul Taylor review Charles Darwin's religious ideas, setting them in the context of his background and family, and examine his evolutionary claims in the light of the Bible, which sets forth a world view consistent with faith in God.